Can Virginia farmers find common ground around the issue of soil health and the management of core principles for better soil function and performance? Understanding and building your farm’s soil resource is critical for productivity, profitability and sustainability. Of course, soils have inherent and dynamic properties that affect the function and performance of soils. Like a personal bank account, good farmers and producers seek to manage the dynamic processes by making soil health-building deposits and minimizing withdrawals that are soil health-depleting. At the 2015 Virginia Farm to Table Conference, Ellen Polishuk of Potomac Vegetable Farms shared how she and her colleagues work to grow money and soil with commercial vegetable production. The Common Ground Soil Health profile video below highlights the core principles she uses to build soil health and maintain a positive bank account. The video and technical clips were produced as part of a USDA-NRCS Conservation Innovation Grant (CIG) project entitled, Finding Common Ground: Healthy Farms from the Soil Up. Please save the date and spread the word about the upcoming 2014 Virginia Farm-to-Table Conference and In-Depth Soil Biology Training with Dr. Elaine Ingham scheduled for Tuesday, December 2 and Wednesday, December 3, 2014, at Blue Ridge Community College’s Plecker Workforce Center in Weyers Cave, Virginia, and Thursday, December 4, 2014 at Virginia State University’s Douglas Wilder Building in Petersburg, Virginia. The conference theme is ‘Nutrition, Health and Sustainability from the Ground Up’ and will be featuring an in-depth soil biology training for two days in two locations. The in-depth soil biology training will be led by Dr. Elaine Ingham of the Soil Food Web and coordinated by Chris Lawrence of USDA-Natural Resources Conservation Service. 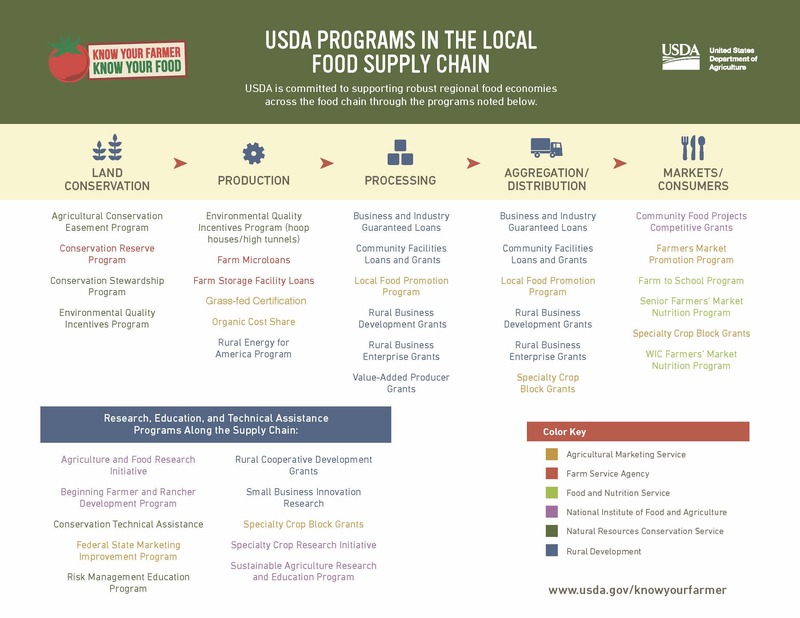 The conference will be of interest to producers, buyers, school and university officials, community and agricultural development officers, legislators, administrators, and other key food system stakeholders. The conference will encourage collaboration, conservation and community in strengthening community, local and regional food systems. On Tuesday afternoon and evening, there will be a Buy Fresh Buy Local Producer/Buyer Meet-n-Greet as a networking time. The Meet-n-Greet will be from 4:30 to 6:00 p.m. and encourage business conversation and networking among Virginia producers and buyers, and will celebrate locally-grown Virginia foods. For more information about the 2014 Virginia Farm-to-Table Conference and Buy Fresh Buy Local Meet-n-Greet, you can contact Eric Bendfeldt or Lauren Arbogast of Virginia Cooperative Extension’s Northern District Office at 540.432.6029 Ext. 106/117 or Kathy Holm of USDA-Natural Resources Conservation Service at 540.434.1404. More conference and registration information is available at 2014 Virginia Farm to Table Conference. 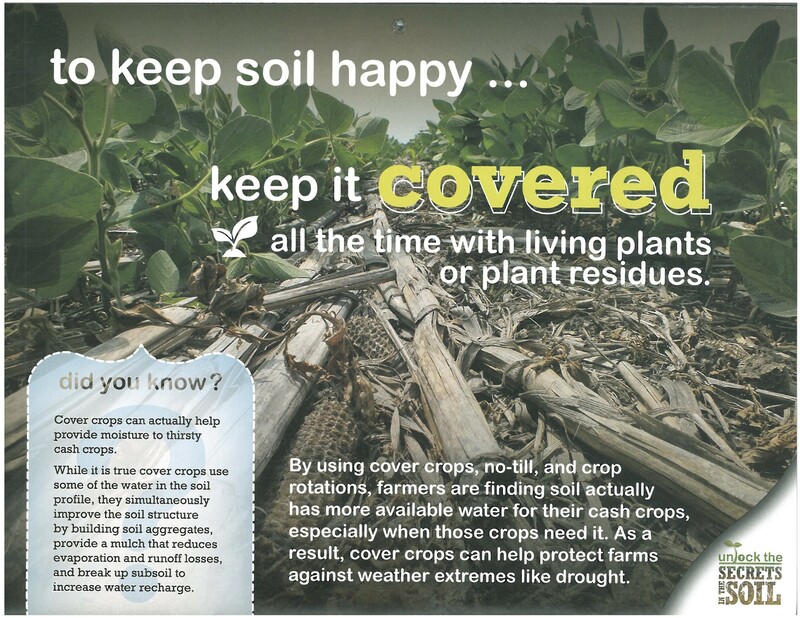 Let’s Not Keep the Importance of Soil Health a Secret! Virginia Cooperative Extension, Virginia Tech, Virginia State University, and Virginia Sustainable Agriculture Research and Education are partnering with USDA’s Natural Resources Conservation Service and other organizations and agencies (e.g., Chesapeake Bay Foundation, American Farmland Trust, Virginia Soil and Water Conservation Society, Virginia Association of Soil and Water Conservation Districts and others) as part of a Virginia Soil Health Coalition to promote and educate farmers, growers, landowners and the general public on the foundational principles of soil management in an overarching effort to unlock the secrets in the soil. 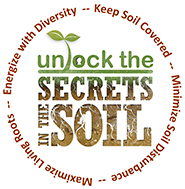 Virginia’s USDA Natural Resources Conservation Service has boiled down the core principles of soil health management to four easy to remember phrases! Soil was definitely meant to be covered. For more information about soil health and the Virginia Soil Health Coalition, contact your nearest USDA Service Center or local Virginia Cooperative Extension office. Soil is a foundational resource to farming, conservation and health in the 21st century so let’s not keep the importance of soil health a secret!